Linde Warranty | Linde Certified Service | Hydra Service, Inc.
Hydrostatic test pump specialists perform Linde certified service and Linde warranty work. In order to provide a variety of specialized services to customers, the hydrostatic and Dynapower specialists from Hydra Service are excited to perform Linde certified warranty work as well as other services for Linde hydraulics. Our hydrostatic testing specialists from Hydra Service, Inc. are proud to be the experts in hydrostatic pumps and various hydraulic pumps. The service professionals are thrilled to have Linde factory trained technicians on the staff to handle Linde certified warranty work as well as other services that may require additional attention at competitive rates. Our Dynapower specialists are also experts in Linde repairs and Sunstrand services. Hydra Service, Inc. has the go-to hydrostatic test pump and parts specialists. Products as well as service. Hydra Service, Inc. is the OEM source for all Dynapower service. Proudly supplying Dynapower OEM hydrostatic pumps, motors, and parts, Hydra Service, Inc. also prides themselves with an extensive history with and experience in servicing Dynapower components. Since the 1960’s, Dynapower components have gone through many different design changes. From the 1960’s and early 1970’s, Dynapower featured the Phase III Design with the Phase IV Design following it in the later part of the 1970’s through the middle part of the 1980’s. The most current Dynapower design is what Hydra Services, Inc. builds new – the Generation II Design. Trust our hydrostatic pump experts to perform Linde repairs and provide Linde parts. Our experts in hydrostatic piston pumps & motors are proud to be able to perform Linde Certified warranty repairs. 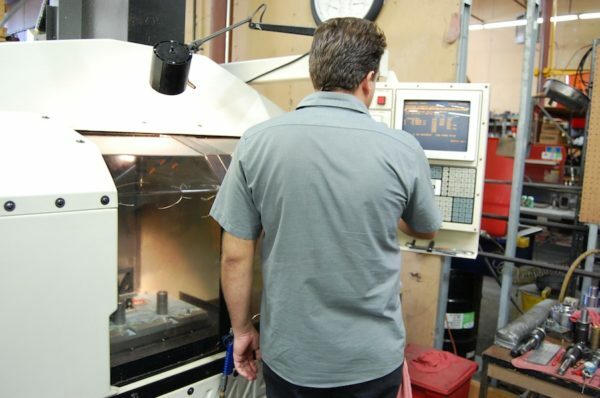 Hydra Services expert engineers and machinists in the machine shop in Tulsa, OK (link “machine shop in Tulsa, OK” to https://www.hydraservice.com/machine-shop ) also specialize in supplying parts for Dynapower as well. For differing styles of hydrostatic equipment, Hydra Service engineers and machinists are capable of offering high-quality parts and services for Dynapower products as well as Linde hydraulics. Hydra Service, Inc. is very qualified to perform quality repairs and provide replacement parts for Linde hydraulics. Potential customers are encouraged to contact Hydra Service for additional information about Hydra Service, Inc., their products, their services, and their facility in Tulsa, OK.
Tim worked for Dynapower in a variety of capacities for over 20 years before joining Hydra Service in 2002. Tim brings many years of hydraulic experience to Hyda Service.